Hanukkah begins on December 3rd! 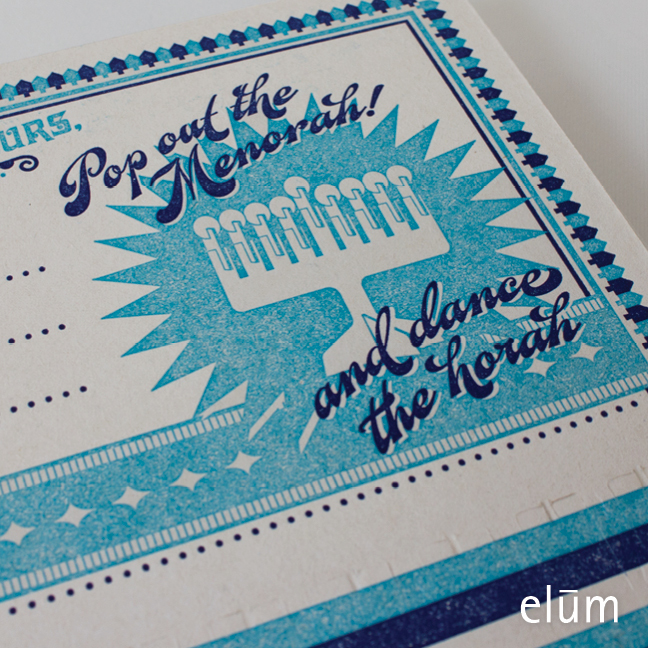 Send this charming oversized (10" x 7") card for Hanukkah! It includes a pop-out menorah complete with pop-out candles for lighting up all eight nights ~ and you get three of them, plus three envelopes for sending. Made in the USA. Perfect for shelves, mantles, kitchen tables, dresser tops. Package of 3 cards and 3 envelopes. Original Price: $14.95, Sale Price: $12.00.